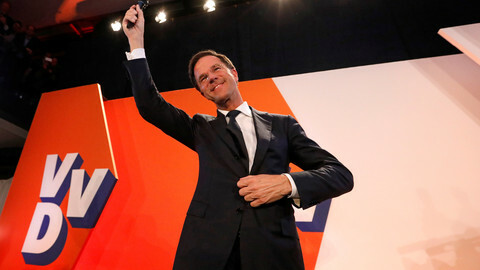 Exactly two months after Dutch voters elected a highly fragmented lower house of parliament, talks for a four-party coalition collapsed on Monday (15 May). “The differences in opinion were simply too large,” said Edith Schippers, a Liberal politician who chaired the coalition talks between her centre-right party, the centre-right Christian-Democrats, the centrist D66, and the left-wing GreenLeft party. Schippers said the four parties were unable to bridge their differences on how to deal with migration. 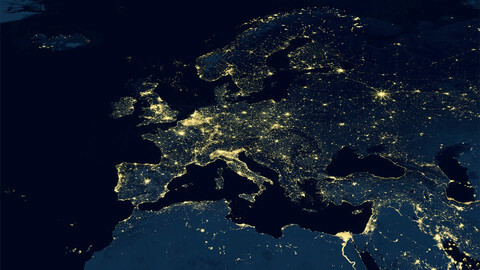 Several Dutch media reports said that GreenLeft in particular did not want to support new EU agreements with African countries, comparable to the Turkey deal. The two centre-right parties are in favour of these types of agreements, which would involve providing funds so that would-be migrants decide to stay instead of making often dangerous journeys to Europe. 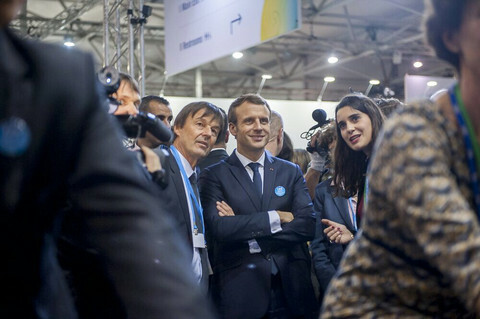 There was no public finger-pointing over who chose to end the talks, and party leaders seemed to have coordinated their message: the atmosphere was good, but the parties' ideological views are just too different. The topics of climate change and the income differences between rich and poor were also “difficult” subjects, they said. “We tried to reach compromises. Sometimes we managed to,” said GreenLeft leader Jesse Klaver, adding that “unfortunately” the differences appeared to be too large. Liberals leader Mark Rutte, prime minister since 2010, also said he was disappointed by the collapse of talks. It is unclear which combination of parties will be looked into next. Voters delivered a very fragmented lower house on 15 March, in which a minimum of four parties would be needed to form a majority. One option is to replace GreenLeft with ChristianUnion, a socially progressive, but ethically conservative party. However, ChristianUnion has a fairly similar stance on exactly the themes that have proven too difficult to reach a compromise on. Moreover, they are much more critical of the EU than the three others parties. Another hurdle is that with this combination, the majority would only be 76 of 150 seats – a shaky foundation given that it is not unheard of that MPs leave their party if they feel they can no longer support the coalition government. Far right anti-EU MP Geert Wilders, whose party is now the second-largest, also said he was still available for talks. Perhaps these will take place, but only as a formality: his views are too far removed from most of his peers in parliament. 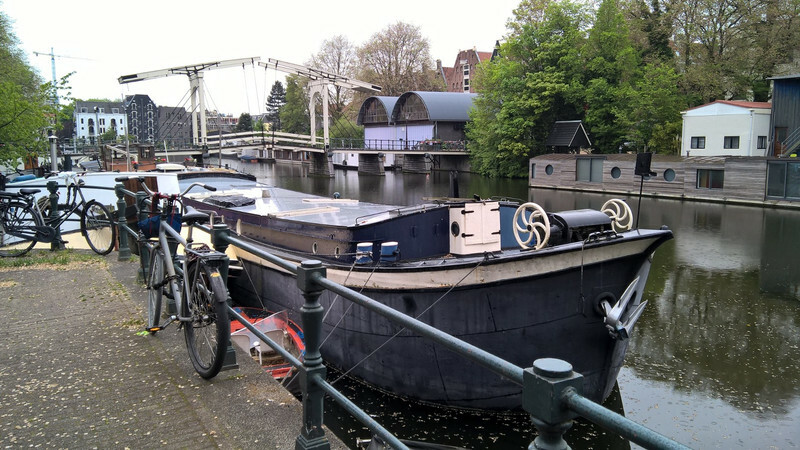 Then there is the far-left Socialist Party, which is in a coalition with the Liberals and D66 at the local level in Amsterdam. However, its leader has promised he would not support a national government with the Liberals. Another option would be to replace GreenLeft with Labour, but that party was dealt its most crushing defeat in Dutch democratic history. That defeat came after it went into an unpopular coalition with Rutte's Liberals over the past four years. 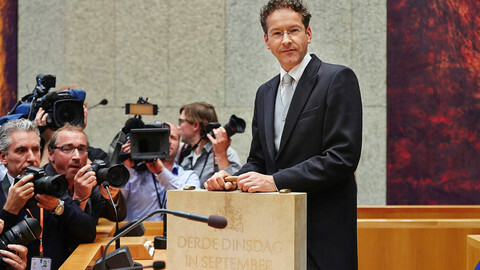 Although the combination was praised for being pragmatic and steering the Netherlands out of the financial crisis, Labour was punished for working with their arch-rivals. Meanwhile, the Liberals-Labour cabinet of ministers continues to work as caretaker government - until a new coalition is formed. 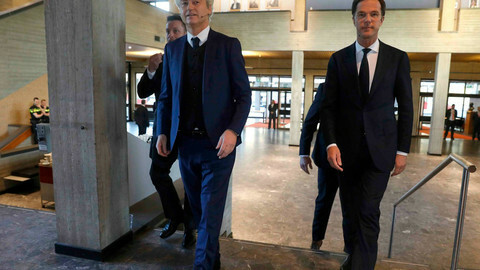 That means that Jeroen Dijsselbloem remains caretaker finance minister, and can continue chairing Eurogroup meetings, the gatherings of Eurozone finance ministers. 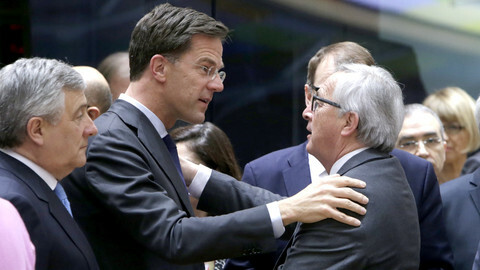 Caretaker prime minister Mark Rutte will continue to represent the Netherlands at EU summits. It is unlikely that coalition talks with a new set of parties will be finished by the next one on 22 and 23 June. 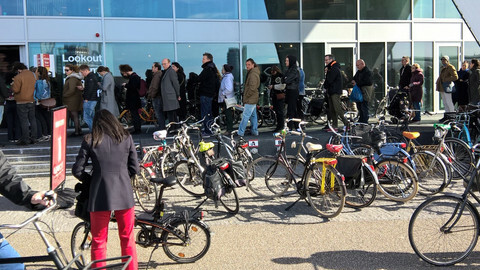 Voters in Amsterdam were willing to wait between half an hour and an hour to cast their vote in a polling station on the 20th floor. "We looked each other deep in the eyes, and said: 'No, this is pointless',” one of the negotiators said. Friday will mark 128 days since elections in the Netherlands. Four parties are negotiating to form a government coalition.